Before launching Spirit & Truth, Matt served as a missionary to the United States for a year with a ministry that worked to unite the body of Christ for the purpose of reaching communities with the Gospel of Jesus Christ. Prior to stepping into this missionary calling, Matt served as a United Methodist pastor in local Ohio congregations for about 13 years. He has a bachelor’s degree in mechanical engineering and received his Master of Divinity degree from Asbury Theological Seminary. Matt is currently pursuing a doctorate degree at United Theological Seminary. Matt lives in Tipp City, Ohio with his wife, Heidi, and their three children, Nolan, Grady and Jonathan. Scott was the Owner and President of a successful trucking company for nearly 25 years when God called him to full time ministry. Two years ago, Scott left the business world to serve as Co-Chairman of reviveOHIO, an organization that trains believers to share the gospel in their communities. Scott enjoys empowering believers to go out, share the simple gospel, and make disciples. He serves as an elder and teacher in his own church and knows what potential for furthering the Kingdom lies within local church bodies. He joins the Spirit & Truth team with the expectation that God will do a mighty work of revival through the Wesleyan stream of churches in America. Scott is currently working toward a degree in Christian Studies through Hobe Sound Bible College. He lives in Greenville, Ohio with his wife, Michelle, and their three children, Lilly, Madie, and Lincoln. Luke has a background in teaching, completing his bachelor's degree in education at Bowling Green State University. His career has included full-time youth ministry, as well as time working with a business development firm where he helped connect clients with opportunities for growth and goal development. Luke also previously founded and launched a charitable non-profit focused on leveraging social media to engage young people and inspire generous living. Due to his success in that arena he has been recruited to help businesses develop social media strategies and has a passion for using new media to engage the twenty-first century world with the Good News of Jesus Christ. Luke lives in Tipp City, Ohio with his wife, Cassie and their daughter Lucy. Claudia Coe is owner of a coaching and leadership development company, Coe and Associates. Her commitment to leadership development grew through her experience as co-owner of a group of radio stations, international coaching in Africa and Myanmar, and leadership development and coaching at the United States Naval Academy since 2003. Claudia has a B.A. in Education and French from Jacksonville University, Florida. She is a graduate of Ohio LEAD, a two year leadership program from the Ohio State University. She is a certified coach from the Institute of Life Coach Training, Ft. Collins, Colorado and The Growth Coach, Cincinnati, Ohio. Rev. Jon Ferguson is the Lead Pastor at Stillwater United Methodist Church in Dayton, Ohio. 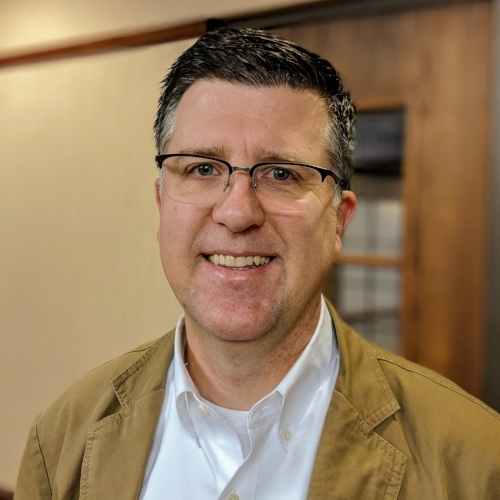 Jon is a native of Peoria, Illinois, and graduated from Taylor University with a BA in Pastoral Ministries and from Asbury Theological Seminary where he earned his Master of Divinity degree. Pastor Jon and his wife, Jennifer, are the proud parents of Jacob, Tyson, and Marissa. Rev. Jim Jennings serves as Discipleship Pastor at EUM Church in Greenville, Ohio. in Troy, Ohio with his wife, Amy. They are parents to three beautiful daughters. Rev. Meshach Kanyion serves as the Senior Pastor of Friendship United Methodist Church in Wyoming, Ohio. He has a Bachelor's Degree from The Ohio State University and a Master of Divinity degree from United Theological Seminary in Dayton, OH. Pastor Kanyion and his wife, Ashanti have five young children. Dr. Scott Kisker (M.Div., The Divinity School, Duke University; Ph.D., Drew University) serves as the Professor of the History of Christianity at United Theological Seminary. He specializes on Wesley studies and recently co-authored a book with Dr. Kevin Watson on recovering Band Meetings in contemporary Methodism. Dr. Kisker is an ordained elder in the United Methodist Church. Pastor Amanda Moseng is the Associate Pastor at Trinity UMC in Milford, Ohio. She is married to her husband, Mitchell. 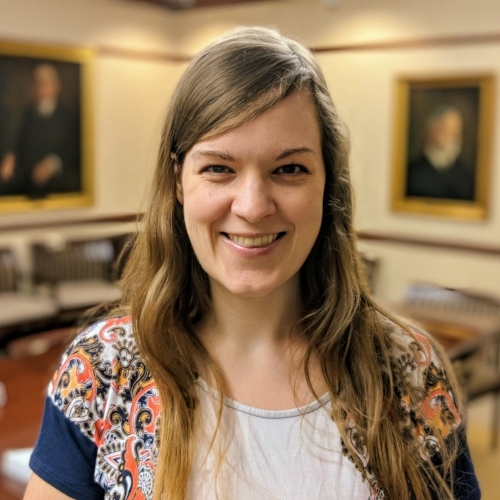 Amanda is a graduate of Indiana University South Bend, where she received a degree in biochemistry, and United Theological Seminary, where she received her Master of Divinity degree. Maggie Ulmer is one-third of the Plain Truth: A Holy Spirited Podcast team. She has spent her life following the leadings of Jesus Christ which resulted in a degree in Classical French Cuisine from PA Culinary Institute, a subsequent career in pastry and baking, the co-founding of a professional theatre company called The Hub Theatre in Fairfax, VA, and work in the field of arts administration; as well as no less than 6 moves with her itinerant-Methodist-Pastor husband. When they’re not taking a break from it, Maggie loves home schooling her two remaining school age sons, studying Philosophy and Religion, and speaking the heart of Jesus to anyone who will listen. Dr. David Watson (M.Div., Perkins School of Theology; Ph.D., Southern Methodist University) currently serves as the Academic Dean and Vice President for Academic Affairs for United Theological Seminary. He is also the Associate Professor of New Testament for United. Dr. Watson is an ordained elder in the West Ohio Conference of The United Methodist Church.